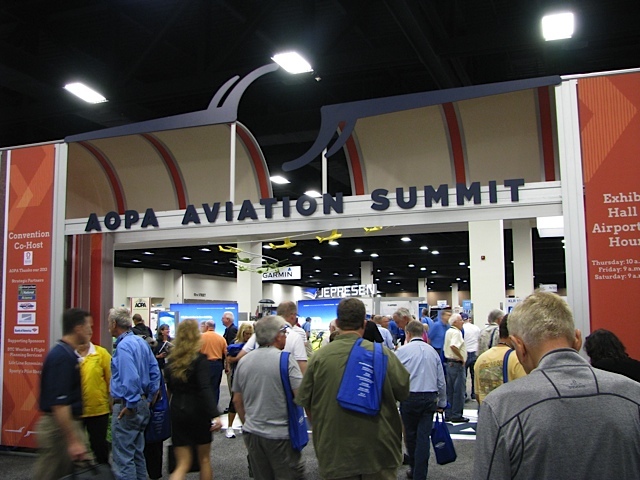 to the AOPA Aviation Summit October 10-12, 2013. We arrived Wednesday night. The programs, speakers and exhibits are excellent. And, It’s a great time to meet and talk with fellow pilots. Looking forward to seeing all the aircraft on static display at Fort Worth Meacham Airportfest. Posted on October 11, 2013 October 11, 2013 by Jeff BrewerPosted in AviationTagged Aircraft Owners and Pilots Association.